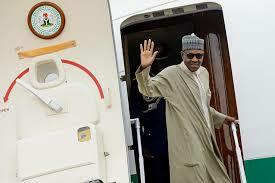 President Buhari to leave Abuja for Lome on Sunday – Royal Times of Nigeria. President Muhammadu Buhari will on Sunday depart Abuja for Lome, Republic of Togo, to participate in two high-level meetings. The Senior Special Assistant to the President on Media and Publicity, Garba Shehu, disclosed this in a statement today. On arrival in Lome, Shehu said the President will have an interactive session with the Nigerian community based in Togo at the Nigerian Embassy. He added that on Monday, Buhari will attend the Joint ECOWAS/ECCAS Summit. The summit will deliberate on common security threats to countries in West Africa and of violent extremism. While in Lome, Shehu added that the Nigerian delegation will also participate in a meeting on a Single Currency for ECOWAS with the deadline of 2020. On Tuesday, President Buhari will join other leaders of the sub-region for the fifty-third Ordinary Session of the ECOWAS Authority of Heads of State and Government.